The smartest invention since the koozie! No need to worry about where you’re going to put your drink down with this clever sweater idea. Stay warm with your beverage handy, and your friends jealous. 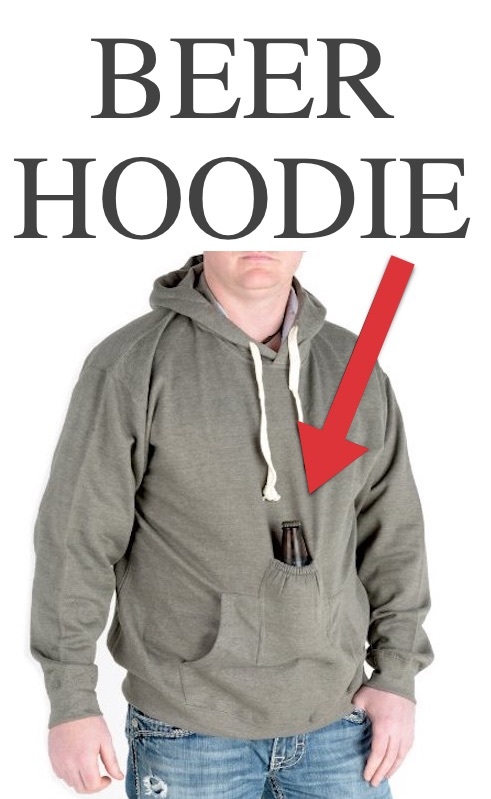 This beverage pouch hoodie would be an awesome gift idea for any guy (or girl)!